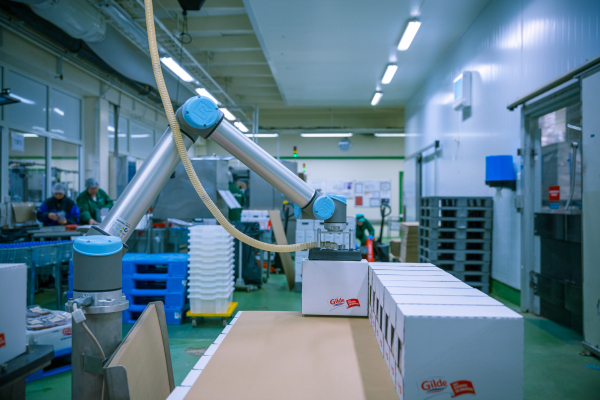 Universal Robots captures Norwegian meat producer Nortura’s foray into optimised palletising for its space-tight factory floor. 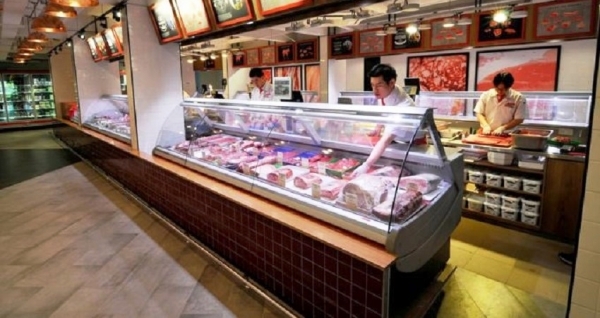 Norwegian meat producer, Nortura, needed to optimise palletising but with limited floor space and a tight budget. Typical palletising robots require a large fixed cell with safety caging that take up extensive floor space. Nortura wanted to be able to palletise continuously without stopping the production line, but needed the flexibility of using the space for other processes if there were no pallets in place. With a limited budget, Nortura had the added challenge of finding a cost-effective 6-axis robot that had the required range and payload capacity to stack boxes of different sizes and weights at different heights on a pallet. The robot also needed to be flexible and easy to program to work with the vision system, and reliable enough to run with minimal supervision. Nortura wanted to optimise palletising, but couldn’t use a traditional palletising robot which requires a large permanent cell with safety caging. 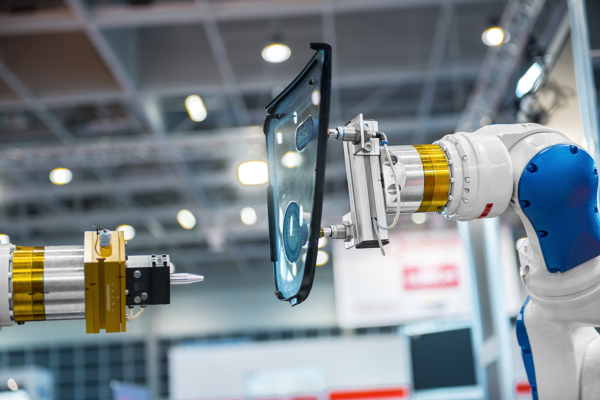 Thus, Norwegian robotics integrator, Rocketfarm AS, customised a vision system to complement the Universal Robots’ UR10 collaborative robot for an innovative, small-footprint approach. An IFM O2D222 vision camera is mounted in the ceiling above the robot, which is mounted below it on a narrow stand and is equipped with the Unigripper SMS 80-200 vacuum gripper. While in standby mode, the mounted robot’s footprint is only 0.5 square metres. The robot’s working area is simply a painted space on the floor, which marks where operators place an empty pallet. Once a free pallet is placed on the floor, the vision system automatically detects it as well as boxes moving on the conveyor belt and begins palletising on its own. The 6-axis robot’s program can be easily customised to stack different-sized boxes in the pattern that the customer of the pallet requires, such as turning boxes so that the box labels are visible on all sides of the pallet. 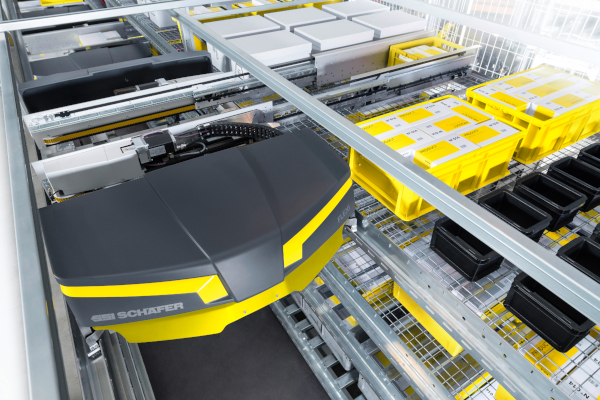 The robot can stack an average of 20 pallets each day, for a total of 1700 boxes per day. After only a year of using the new UR10 robot, Nortura chose to invest in an additional two robots of the same type in order to automate even further. 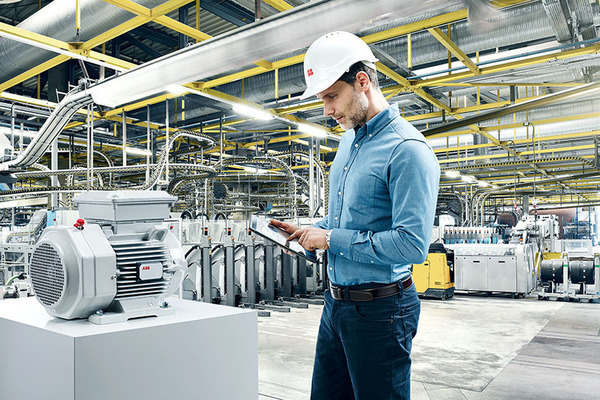 “We are very positive about the new robots and the decrease in strenuous work activities we have achieved. Installing the new robots was quick and painless and we are thrilled to have more space since the robots are constructed in a way that allows them to operate without cages or fencing,” says Unn Sjøthun Uglane, Manager at Nortura SA Sogndal. 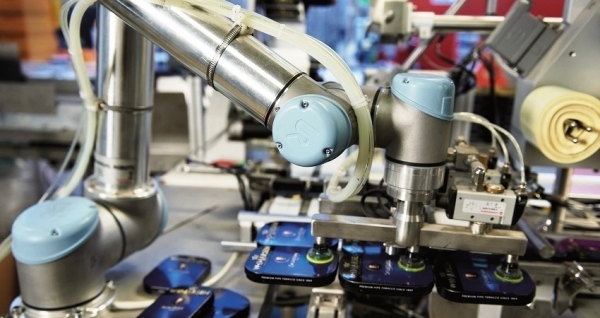 An additional advantage is that the robot can provide error-checking for the previous machines on the production line. 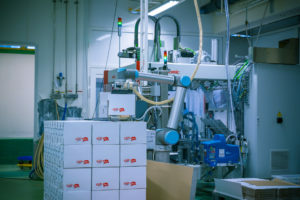 While humans might not notice that a box wasn’t filled properly, the robot measures the weight of each box and signals if a box comes down the line with fewer packages inside. But the most important aspect was its ability to work safely beside human workers. The UR10 robot automatically stops if it runs into something that is not part of the planned path—even if that’s a human being standing on an empty pallet. Nortura estimates the payback for the palletising system to be less than one year when running a single shift, and they have the ability to run more shifts if necessary, for even faster payback. In fact, Nortura was so pleased with the system that they immediately ordered two more systems to run on different production lines that will run even faster with smaller boxes.